The conversation across our planet in the 21st century is what does a sustainable, responsible, and forward-thinking community of the future look like? It’s beyond a conversation of social issues, it’s a moral and religious one as well. This year, we raised $17,000 for our Easter Offering recipients, two organizations which are paving the way for a sustainable future one community at a time. 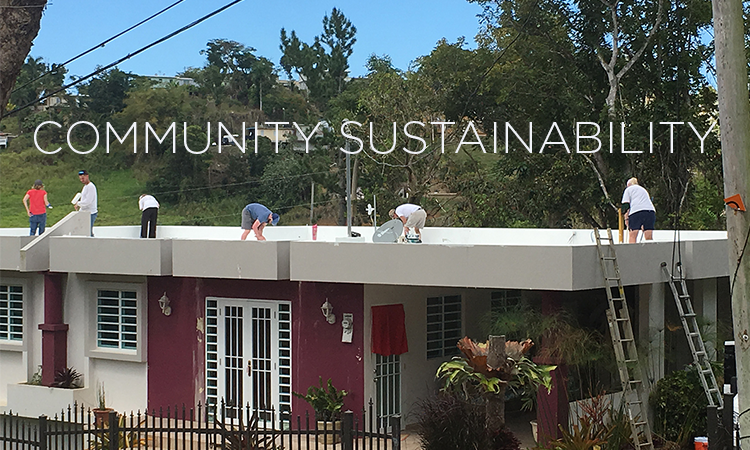 Bridging the Gap, located here in Kansas City, and AMANECER 2025 (The Alliance for Sustainable Resource Management) located in Puerto Rico are leading efforts to help their communities get ready for the future. Both organizations are bringing together environment, economy and community to address how to be resilient toward natural disasters and leave a positive legacy for generations. From projects on recycling, education, solar energy, water conservation, and re-growth of the earth’s vital forest systems, Bringing the Gap and AMANECER are truly leading the world with grassroots efforts. Thank you for your generosity. You can give at any by clicking here.